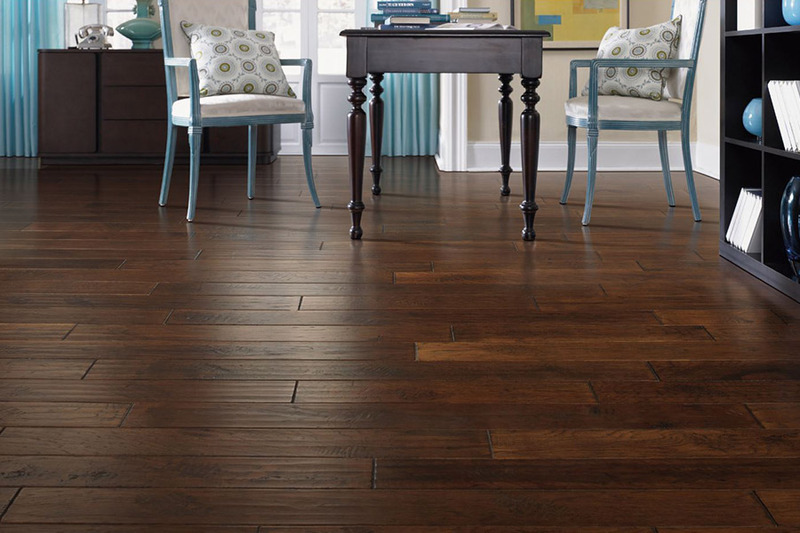 Hardwood flooring comes in solid and engineered formats. Solid hardwood is just what the name implies. It is made entirely of planks of a species of wood. 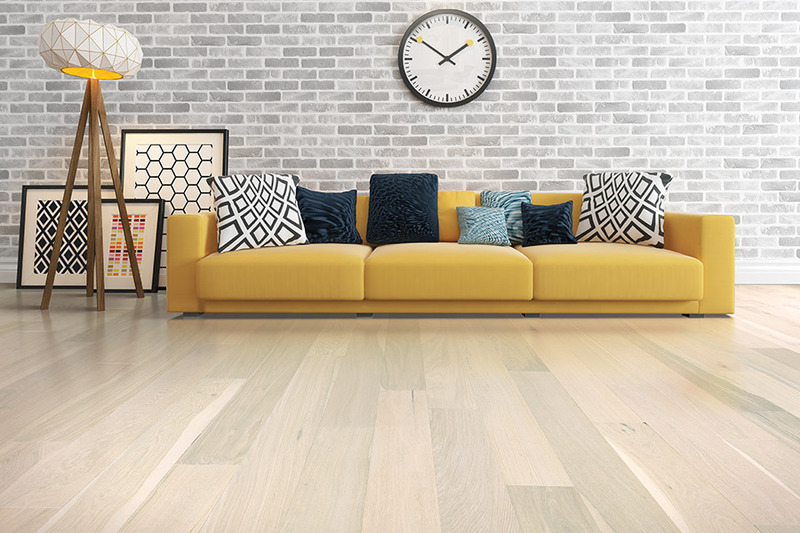 Engineered hardwood has a veneer of the chosen species, with layers of white and plywood underneath that are alternated in direction to give it stability. 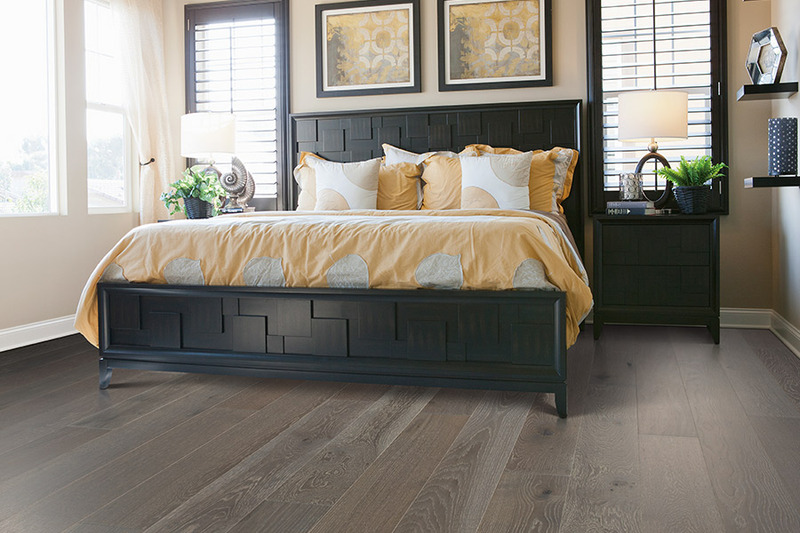 Engineered hardwood can be installed in nearly any room at, below, or above ground level. Solid hardwood needs to be installed at or above ground level, and should not be placed in rooms prone to high levels of moisture. The engineered and sold hardwood found at Massud & Sons Floor Coverings is installed in kitchens, entryways, hallways, and living areas. We carry both domestic and exotic hardwood species in both engineered and solid formats. 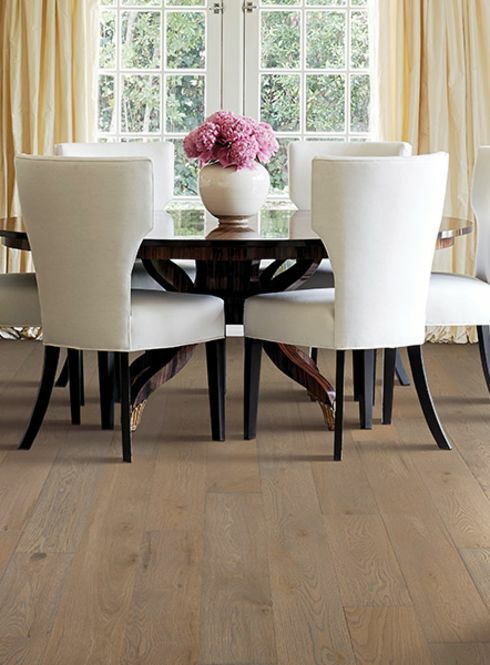 The most popular choices in hardwood flooring are ash, maple, and oak. Unfinished hardwood is available and can be finished on-site. We specialize in dustless hardwood refinishing. Garden tools and baseball bats are made of ash. The sapwood of ash varies from nearly white to a cream color. Its heartwood ranges in color from dark brown to tan. The grain pattern is apparent. Ash holds a stain well. Most ash floors are lightly stained. The consistent grain and light color place ash on the high end of the price spectrum. It is available in a variety of grains. 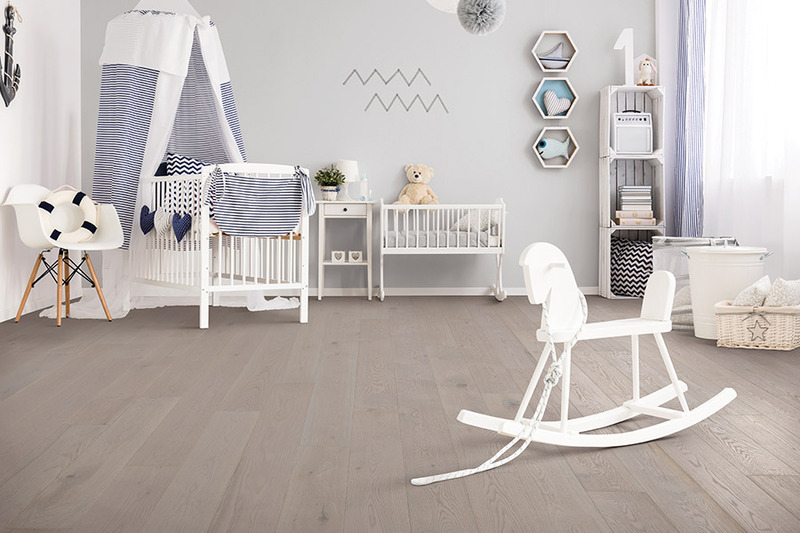 Maple is another light-colored choice of hardwood. The close-grain pattern of maple is more subtle than ash. Maple is a naturally light wood that is extremely hard and dent-resistant. Dark stains are not absorbed well by maple, because of an almost non-porous texture. All wood changes color with age. As maple ages, it tends to grow yellow. The price of maple is connected to its clarity. The clearer the maple is, the higher the price. Maple with pin knots and mineral streaks are less expensive. Oak, especially red oak, is the most common hardwood used in North America. Red oak gets its name from the tree, not its color. 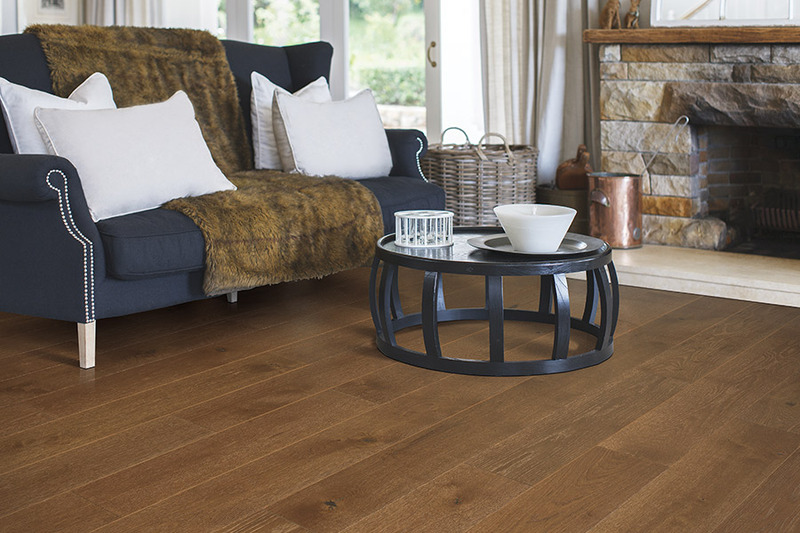 Red oak hardwood floors hold up to use and wear. Red oak has a hardness that resists dents. It holds stain evenly and is available in a wide variety of colors. It can be dark or light. The distinctive grain pattern is nearly always visible. The consistency and quality are factors that drive the price of oak. Grain that is more consistent costs more. We offer free in-home consultation to customers from Attleboro, Cumberland, Lincoln, Pawtucket, Providence, Seekonk, and Smithfield. You can also visit our Central Falls, RI showroom where we display all of our engineered and solid hardwood in domestic and exotic species.